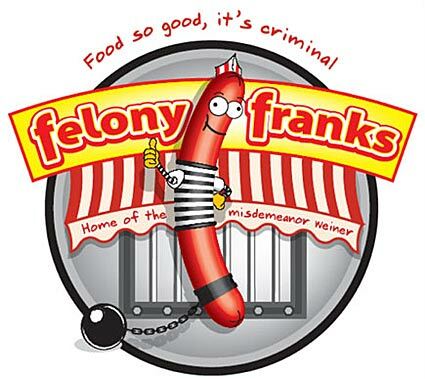 Don’t Jail Hot Dog Eaters! NPR reported over this past weekend that Japanese eating champion (I can’t believe it’s now become a norm to have eating champions?!) Takeru Kobayashi was freed from jail. He was jailed for obstruction of governmental administration, resisting arrest, trespassing and disorderly conduct. I guess we take our eating competitions seriously in this country. Apparently, he was not allowed to “compete” because of a contract dispute . . . I don’t know how any of this makes sense. If anyone can explain this to me it would be appreciated. This year’s winner Joey “Jaws” Chestnut won $20,000 for eating 68 hot dogs. He was disappointed at his performance. He wanted to down 70 dogs in 10 minutes . . . Speaking of eating competitions . . . well the competing part that is does anyone want to compete in a Cheesecake Throwdown? I already have some competitors and judges, but the more the merrier or cheesier?